I confess I decided to post this song by Heart, after hearing that we will be having some strong, strong winds (think the nor'easter variety) in NYC today! Although I've seen this Heart's album cover countless times, I hadn't noticed it featured an image of a male cardinal! How cool is that? 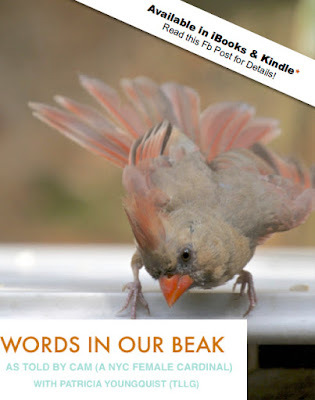 Especially since I helped this bird type, albeit, the female variety, write the book, Words In Our Beak Volume One, which among many things, raises awareness about the plight of wild birds! P.S. 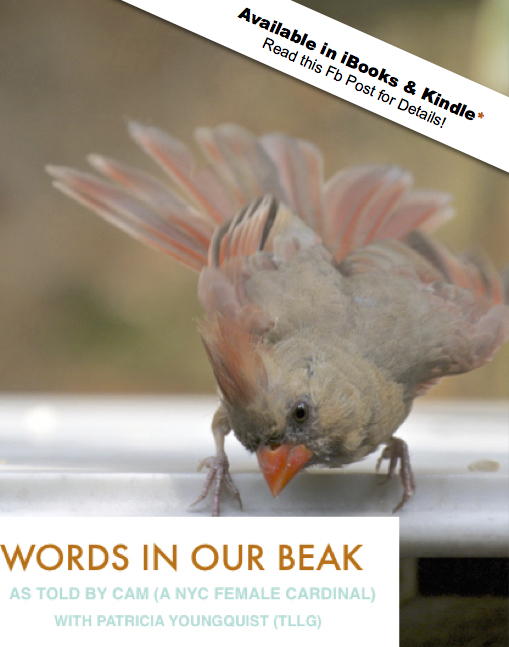 Volume Two will include how nor'easter's impacted migration re NYC birds!